Oh Booni! I must say that profile looks soooooo much like Dad. You are so dear to go and be our eyes and ears. I wish I could just hug you right now!! This second pic looks like Dad to me. . Thanks booni and Dooki for keeping your eyes pealed. looks like Monsieur Hornby to me. i dunno, i*m wanting this to be Mum or Dad, but i*m not convinced they are. They seem young & slim & small. They were behaving fidgety & not quite comfortable where they were. They behaved with me more like an Eagle who isn*t used to me being there photographing. 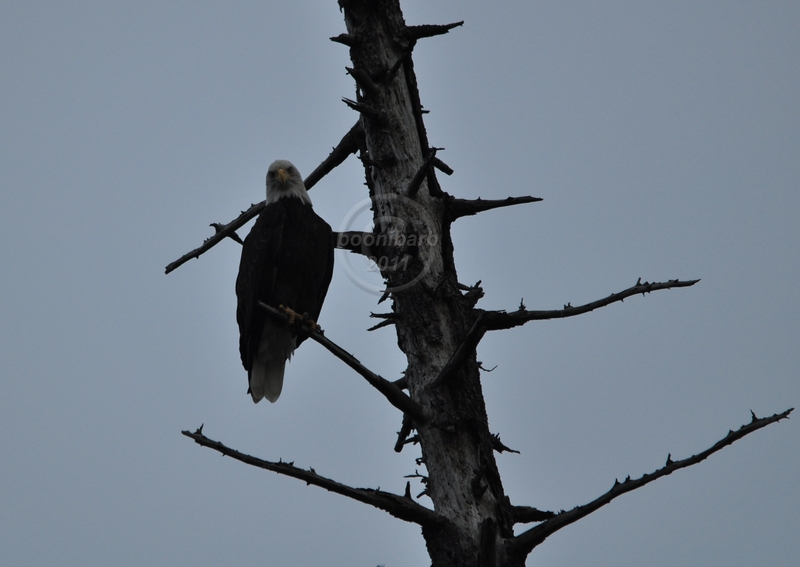 Well, whoever the eagle may be.... it is wonderful to see eagles on Hornby again! An Eagle has landed?? That's a great start....thanks Booni! 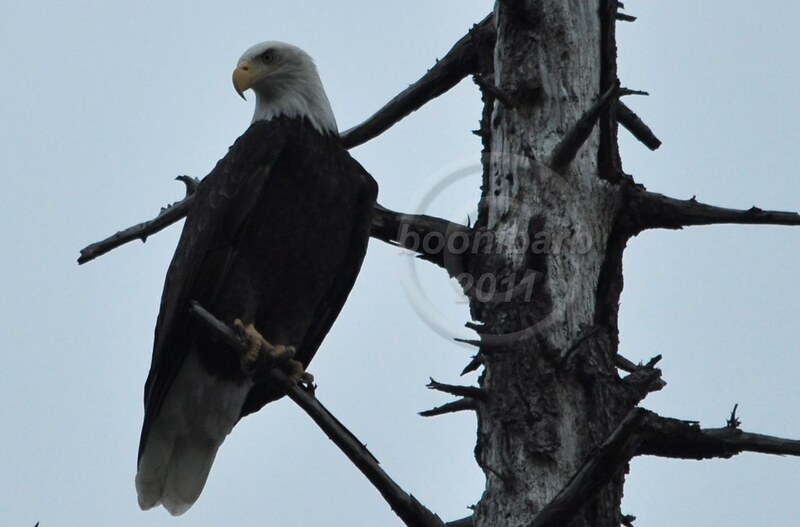 booni THANK YOU for the great pictures of an eagle in Foster's Fir! 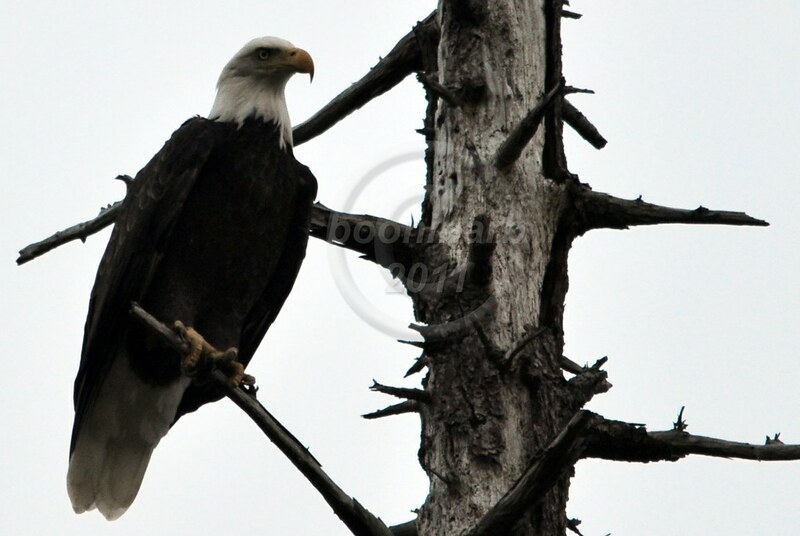 I agree with you that this eagle is not Mom or Dad, but it's great to know that they are returning to the island. Beautiful pictures and it does mean they are starting to return. Now we have to sweat it out until Mom and Dad Hornby are back. I won't relax until I hear they are.